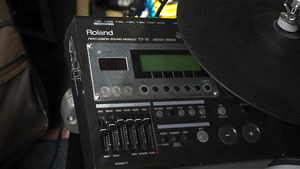 KitMonsters – Roland TD-12 Percussion Sound Module. The music makers’ guide to making music. The TD-12 drum module provides hundreds of expressive instruments and play-along sequences in a streamlined, affordable package. 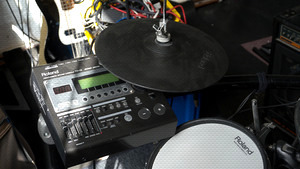 Many of the sounds in the TD-12, from drums to cymbals, are COSM modelled for expression and realism. The module has large, icon-based LCD display housed in a road-tough chassis with a friendly array of buttons, controls, and mix sliders. A dozen trigger inputs are provided, plus four audio outputs and MIDI I/O.